Instead of making goals like, “Run for office” or “Do an Ironman” or “Save Money” I decide, “I need to make a different sugar cookie every month this year.” And so here we are. Month one. Sugar Cookie number one. 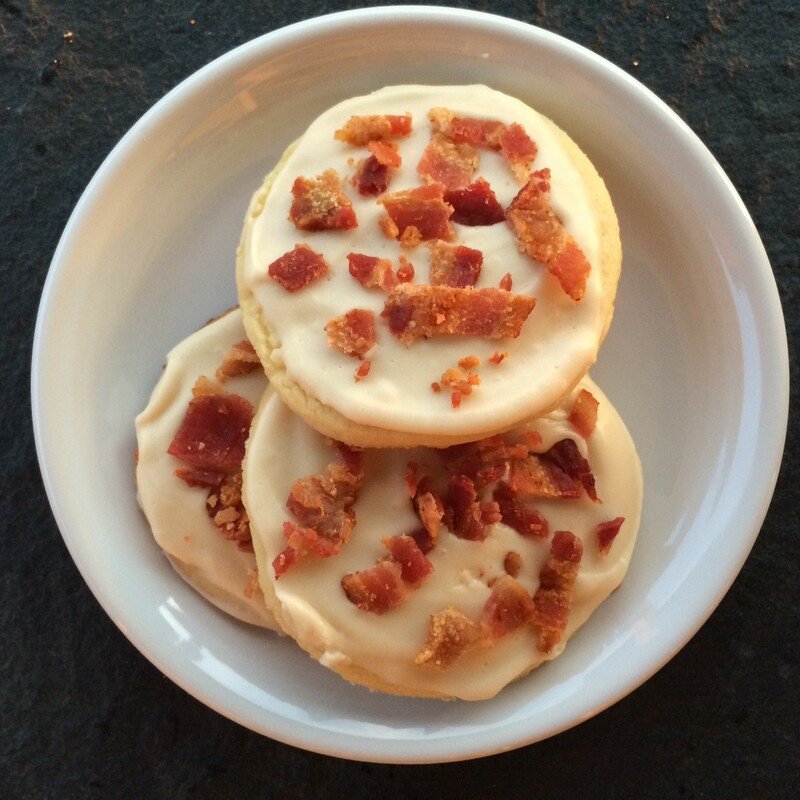 I don’t really know if I can top this, they are easily one of the best treats I have ever created. 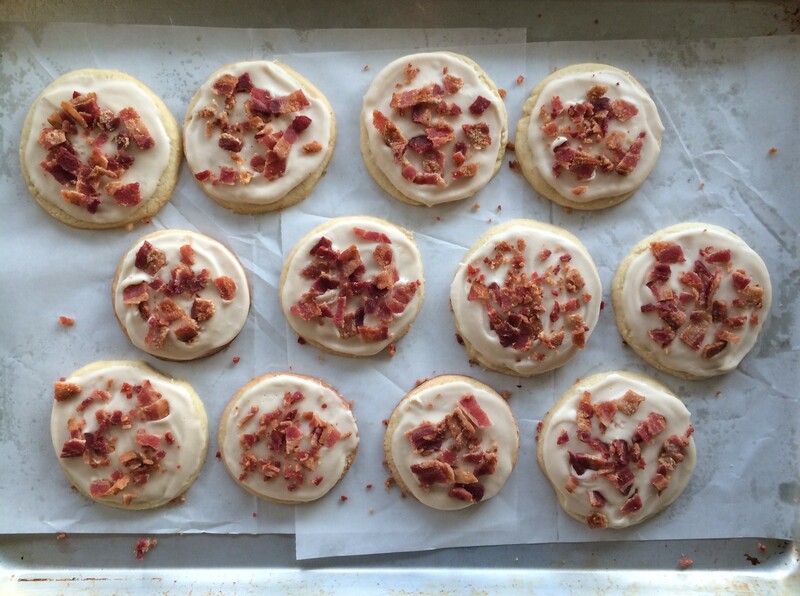 You see, this sugar cookie recipe is old, classic, and foolproof. There are so many fun directions you can go…Different frostings, different cookie cutters, different seasons…the possibilities are endless! One problem I have – I am the worst cookie decorator of all time. But I will always say that taste trumps looks in the culinary world. Sure…it may look beautiful…but if it tastes bad, it’s all out the window. And so here we are. 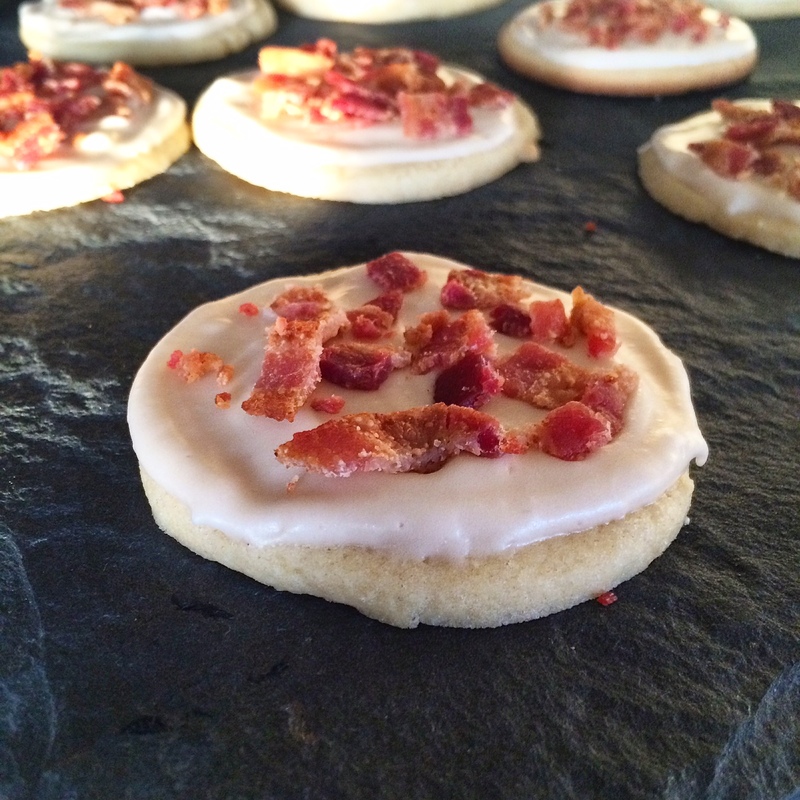 Basic, round sugar cookies…with maple frosting and crumbled bacon. 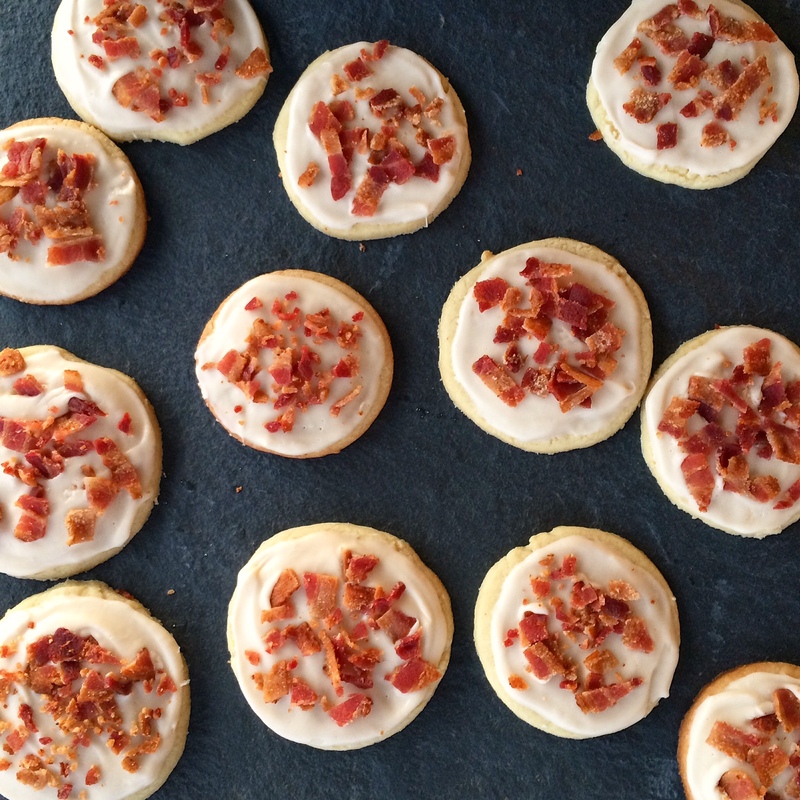 Thank God for the invention of maple bacon everything! Bake the cookies at 400 degrees F for 8-10 minutes. You never want them to get too browned around the edges, or they’ll be super crunchy. We like ours on the softer side. 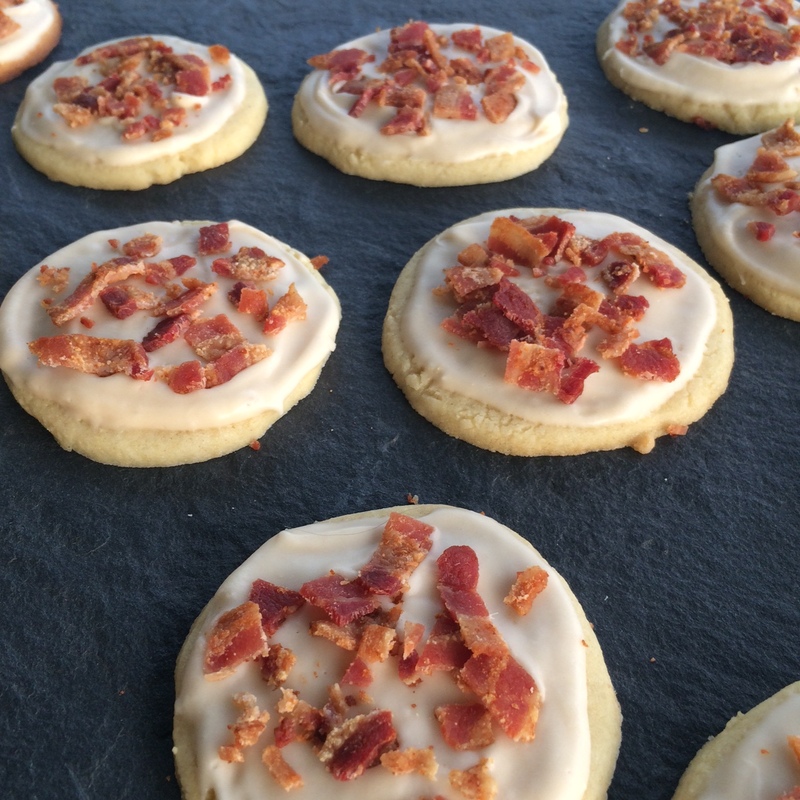 Baking time depends on what shapes you cut your cookies into – we have adjusted baking times from 8-12 minutes depending on the size of our cookies. Let cool completely before frosting. Combine butter, salt, syrup, vanilla, and 1 cup of the sugar. Add milk and remaining sugar, alternately. Mix until smooth & creamy. Cook bacon over medium heat in a frying pan until crispy, remove onto paper towels and let cool. Chop the bacon into small bits. 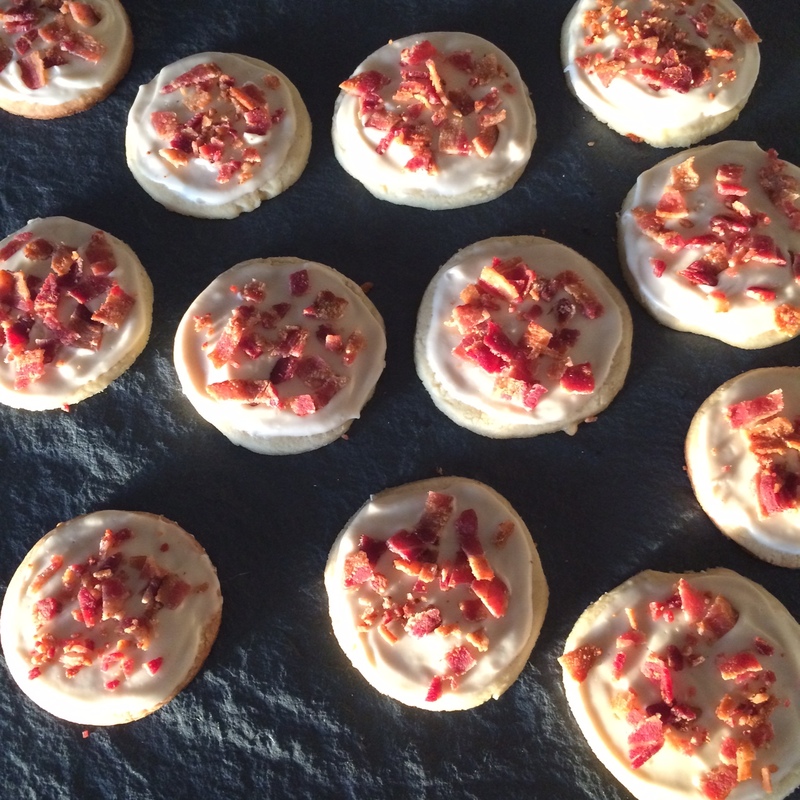 Frost the cooled cookies with the maple frosting, and sprinkle bacon bits on top. Cookies keep well in the fridge for a up to a week, a few days at room temperature. Enjoy! Do you use real maple syrup or can you use whatever syrup you have? You don’t have to use real maple syrup – I used Mrs. Butterworth’s!